Cooking marshmallows just reached a whole new level with the Reel Roaster! 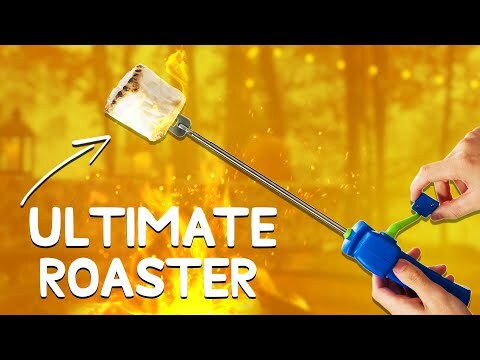 Cooking marshmallows and hot dogs over an open campfire is already loads of fun, but the Reel Roaster steps it up a notch. The skewer is at the end of a telescopic rod that is controlled via a fishing-reel style handle. All your kids have to do is stick the hot dog or marshmallow on the skewer, extend the rod, place the food over the fire and then reel away. The crank rotates the skewer which then gives them a nice and even cook all around. The rod extends up to 27 inches, which is great for safety reasons. The skewer part is easy to take off and is dishwasher-friendly! Looking For Something Different Than Marshmallow Roasting Sticks?